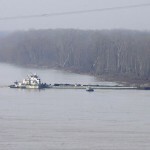 Two barges pushed by the 90 foot long tugboat Nature’s Way Endeavor struck a railway bridge over the Mississippi River near Vicksburg, Mississippi. 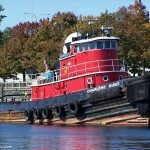 One barge suffered slight damage, but the other had its hull ripped open above the waterline. One of eight tanks each holding 80,000 gallons of light crude oil was punctured and leaked oil into the river. The amount of oil released was unknown. A containment boom was place across part of the river downstream from the barge. Skimmers have been deployed to clean up oily water from the river. No reports of damage to the railroad bridge and traffic was allowed to resume a short time later. No reports of injuries. The Coast Guard has launched an investigation into the incident. 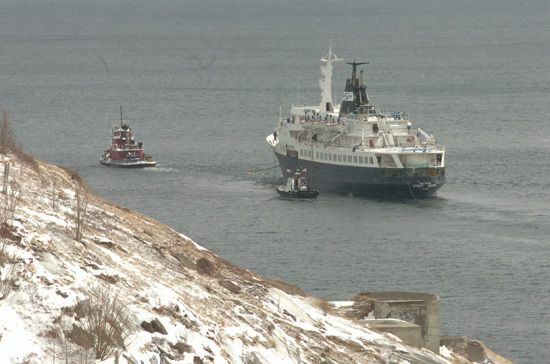 On January 24, the decommissioned 220 meter long, 1465 dwt passenger ship Lyubov Orlova went adrift in the North Atlantic near Cape Race, Newfoundland. 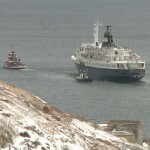 The 29 meter long tug Charlene Hunt departed from St. John’s, Canada with the Lyubov Orlova under tow. 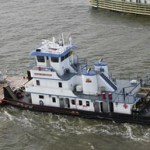 The vessels were en route to the Dominican Republic when the towline broke in bad weather. The tug’s crew attempted for several days to attach the towline, but were unable to attach a towline in the worsening weather. Reports forecast the storm to increase with waves to reach upwards to 20 meters high. 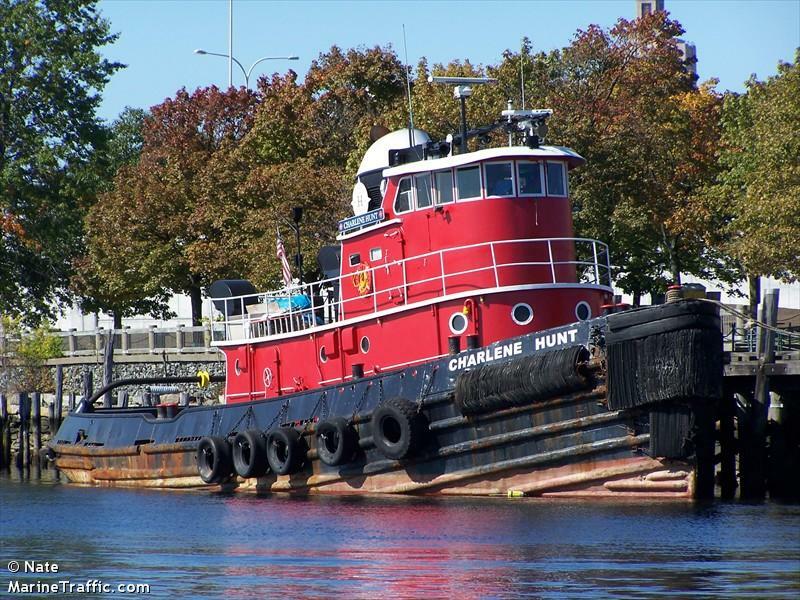 Authorities have ordered the Charlene Hunt back to port due to safety concerns for the vessel and crew. The Lyubov Orlova was last reported adrift and not a hazard to shipping as it was away from navigation routes. 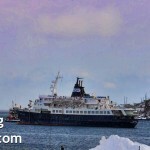 Several reports predict the former passenger ship will not stay afloat in the storm. 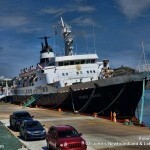 The Lyubov Orlova was to be dismantled at a scrapyard in the Dominican Republic after sitting docked for two years in St. John’s. 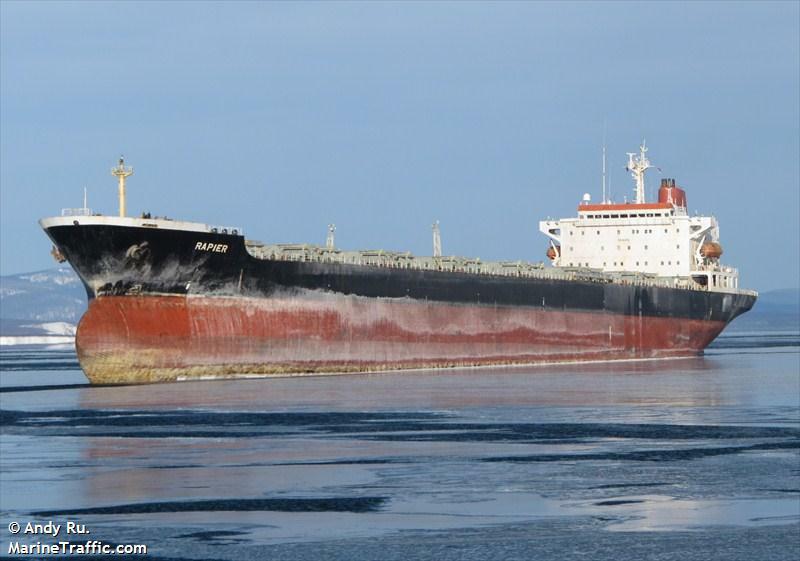 The 225 meter long, 64377 dwt bulk freighter Rapier became trapped ice in the Japan Sea in the Tatarskiy Strait. The Rapier departed from Korea bound to Vanino when it was caught in the ice. The vessel remained adrift in the ice and was close of going ashore. No reports of injuries or pollution released. Reports state there are no icebreakers in the vicinity, but two tugs are attempting to aid the trapped Rapier. In addition, The freighters Pioneer Rossii, Tessa and Lu Hai are stuck in ice, but are not at risk.